Admission is free. Donations welcome at the door. This solo show has been touring Quebec for three years in its original French version. The artistic support for the original creation in French is by Francis Monty and Olivier Ducas at Théâtre de la Pire Espèce. Antonia Leney-Granger joined PWM’s Young Creators Unit this season to work on the English translation. The aim of this public presentation is to share the first version of the translated work with an audience, in order to obtain feedback that will help the playwright refine the show before its official English-language premiere, presented by Théâtre du Renard, at Montreal Fringe in June. 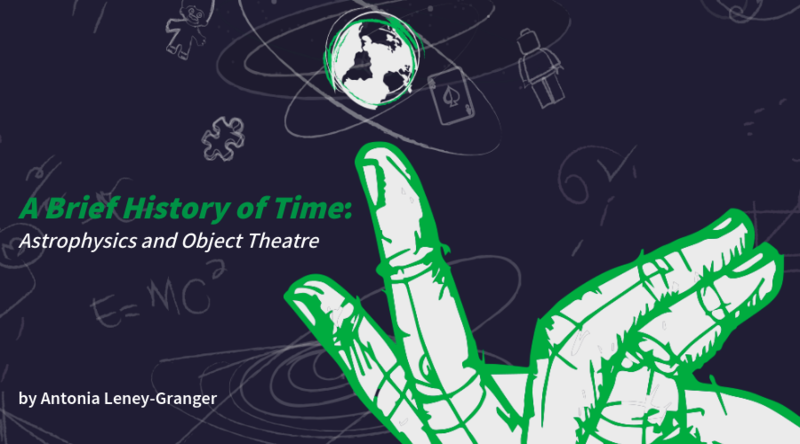 Inspired by the work of astrophysicist and science popularizer Stephen Hawking, this dazzling one-woman show, uses a hundred or so objects to convey with wit and precision the great ideas that have shaped the history of modern science. Aristotle, Galileo, Newton, Einstein and Hubble are sung, rapped, recounted and made relevant again. This is your chance to understand (at last!) the theory of relativity, the expansion of the Universe, and the meaning of the famous E=mc2. Antonia Leney-Granger is a Montreal-based puppeteer, director and educator specializing in object theatre and visual storytelling. 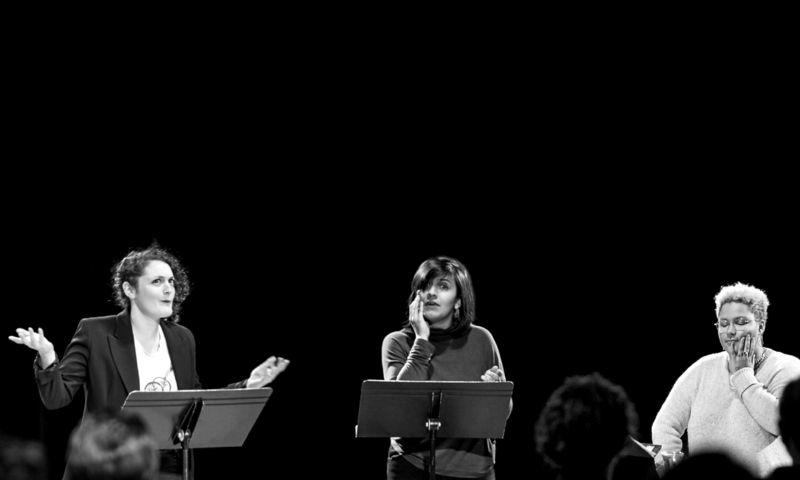 In 2015, she founded Théâtre du Renard, an object theatre company. 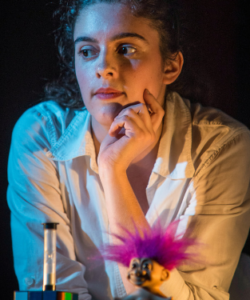 Antonia also works as an educator in puppetry for children and teens as well as artistic collaborator and assistant director for a few companies (Théâtre de la Pire Espèce, Belzébrute, Théâtre de la Petite Marée, Libre course, Rencontre Théâtre Ados). Antonia’s passion for transdisciplinarity drove her to undertake a master’s degree at Concordia University in 2018 to work on a research-creation project around two art forms: puppetry and comics. She holds a B.A. in Western Culture and Civilization from the Liberal Arts College at Concordia University and is a graduate of the National Theatre School of Canada (Production Program).